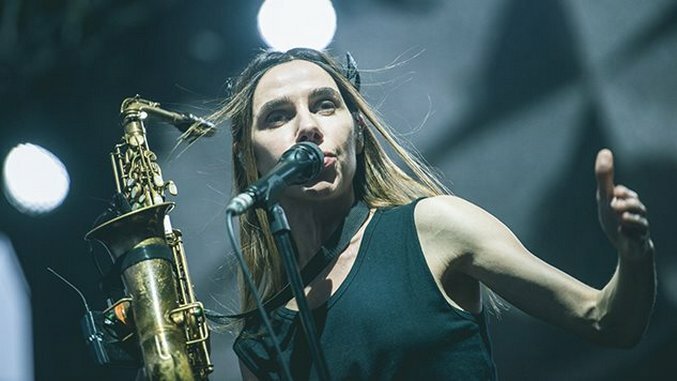 A documentary chronicling the creation of PJ Harvey’s 2016 album The Hope Six Demolition Project is set to premiere at the Berlin International Film Festival, Berlinale 2019. Created by photographer, director and travel companion Seamus Murphy, A Dog Called Money will look at the recording of the aforementioned album in London, as well as Harvey’s travels to Afghanistan, Kosovo and Washington, D.C., as part of the creative process. The pair also worked together previously on a trio of music videos for the album, accompanying the tracks “The Orange Monkey,” “The Wheel” and “The Community of Hope.” The three videos similarly reflect the pair’s travels, giving some insight into what the documentary might hold. You can revisit those below. A Dog Called Money was produced by Pulse Films, Blinder Films and and JW Films. It will premiere at Berlinale as one of the festival’s Panorama Selections.